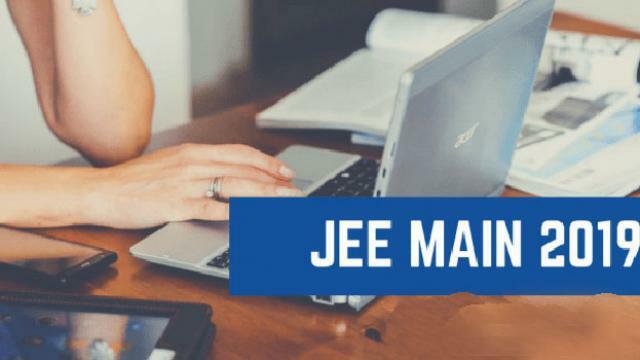 The National Test Agency has announced the JEE Main 2019 Result on January 19 on the official website of JEE Main. Around fifteen candidates have scored 100 percentile, said HRD Minister Prakash Javadekar in January Session. In his tweets, Prakash Javadekar congratulated the students who cracked JEE Main with good grades. He also congratulated NTA for releasing result on time. “For the first time, @DG_NTA has used the percentile based scoring which is way more scientific than anything else, he added. This is the first time when the students will be awarded percentiles. Earlier JEE Main candidates were given ranks on the basis of their score in the exam. However, the students can predict their rank with the help of JEE Main Rank Predictor using their awarded percentile. The format of JEE Main Result has completely been transformed. The mechanism to declare the result is switched from Ranking to Percentile methodology which is considered more accurate and meticulous. “The overall score would be declared after the 2nd JEE Main examination which is going to be held in April 2019”, he further added a statement. “It will be a golden opportunity for students to improve their performance and score better than before”. The JEE Main Exam takes place twice a year and candidates can appear in both exams. Appearing twice in the same year is considered as one attempt when taking into consideration the three-attempt limit of JEE Main exam. Once the JEE (Main) April-2019 examination is done, the ranks of the candidates who appeared in January and April 2019 examinations will be released taking into consideration better of the two NTA scores of all candidates. The second JEE Main is Scheduled for April 6 to April 20’2019. While candidates can upload images and pay fees until March 8’2019. Second JEE Main result is scheduled to be declared on April 30’2019. A total of 9,29,198 candidates registered whereas only 8,74,469 students appeared for the JEE Main examination. Out of which 15 have scored the magical 100 percentile and all are boys, three students are from Maharashtra, two each from Uttar Pradesh and Rajasthan. It is a moment of pride for Telanganites as with 4 100-percentile scorers, the maximum number of toppers are from Telangana state. The NTA has also released state-wise toppers’ list. The HRD Minister even announced that the JEE Main Result 2019 ranks will be declared after JEE II. JEE Main Examination was taken by nearly 8.75 lakh students and as per the records, almost around 9 lakh aspirants registered for Paper –I (B.E. /B. Tech.) in this examination. The exam was conducted in two shifts a day from January 9 to January 12’2019. It was held across 258 cities in the country and abroad. There were 467 examination centers across country and abroad. A total number of 566 observers, 254 city-coordinators and 25 state coordinators were stationed at the centres to oversee the smooth and fair conduct of examination. First of all, you have to visit the official website, jeemain.nic.in. Once you click, you will be requested to enter registration number, roll number and then click on submit. Download and take a print out of the result for future use. Checkout & Read also: Which is the most reliable source for JEE Main Answer Key?